Editor’s Note: As part of the Coalblog’s continuing commitment to bringing you new and innovative editorial and ideas, I have invited Walter James O’Brien to expand on his recent American Coal magazine article, “Carbon Compliance Using the Carnegie Model.” In this short update, O’Brien considers how the coal industry can use CO2 to promote industrial development. Please feel free to comment and suggest other means of making CO2 pay. There is no cost-effective way to sequester coal fired byproduct CO2 underground nor shall there be in the foreseeable future. Simple off-the-shelf alternatives which are available now make profits using CO2 to make other chemicals applying the accumulated expertise of 125 years of hydrocarbon engineering. The leading methods proposed and currently used manufacture nitrogen fertilizers, gypsum and other calcium carbonate products, synfuels, coal-to-liquids technology, and other products as shown at the Dakota Gasification Company website. For the iron and steel industry, using the paradigm of Andrew Carnegie’s Pittsburgh and Krupp’s Essen, Germany, there may be great benefit to be realized from co-siting the steel mill and the coal based power generation plants together. In reference to Linde Gases’ oxyfuel burner which extracts CO2 from the combustion process for usage for synfuel manufacture onsite (please see http://www.linde-gas.com/en/industries_applications/steel_industry/rebox_oxyfuel.html) the extracted CO2 from both processes can be directed to an onsite chemical plant provided on a turnkey basis by such firms as Kellogg Brown and Root at http://www.kbr.com/Technologies/Ammonia-and-Fertilizer with turnkey financing provided as part of the bargain. Please remember always that the key financial resource at the disposal of even the least financially solvent coal fired power plant is the availability of tradeable carbon emissions offsets and credits which can be “sold forward” to raise facilities compliance funding and to serve as leverage in joint venturing with chemical process plant providers, etc. The power plant industry still holds all the cards in this respect. It has been my experience that most power plant firms do not even have a glimmer of what self-empowerment resources are at their disposal. As there is STILL no private-sector carbon dioxide recycling utilization institute manned by registered professional engineers anywhere on the globe, it would be my pleasure to provide free referrals to plant operators and environmental executives to vendors who would be happy to solve this issue for the subject American coal plant. 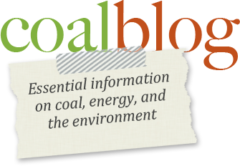 Hopefully we can make of this blog the cornerstone of the establishment of such an institution for the benefit of the coal fire community.